This is a repost of a recipe winner from a few years back and is one of the top hitters on this blog. 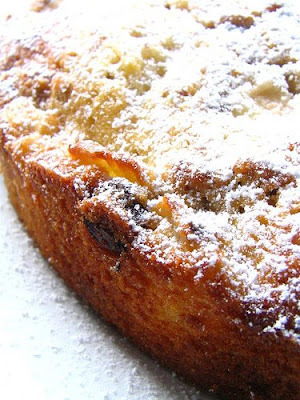 It really is a ripper of a cake - quick n easy and perfect for pear season. last weekend it was pear paste, this weekend i decided to use Haalo's recipe from cook (almost) anything at least once for a pear and walnut cake. i love any cake or bread with fresh fruit; figs especially, but i only use figs in cakes if i have just so many figs that i know they will start fermenting before we can get around to demolishing them all, they really are so special that they should be eaten au naturale. But pears, apples, peach, i love using up excess fruit this way and we have so many walnuts still left from last years bumper crop that Im always looking for ways to use them. Although, i usually only cook cakes like this when i know we have extra people around to eat it all on the day, like we did yesterday. This is seriously a very delicious cake and it took about 5 minutes to make. Seriously. The recipe i used is exactly as Haalo has written but i threw in the bag end of chocolate chips that were only going to get pilfered by the kids. 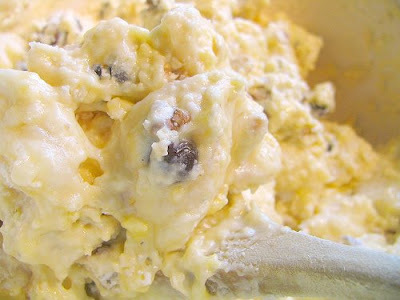 DO you by chance have that lemon ice-cream recipe on hand???? it is look delicious.. thank you for the recipe.